These brand partnerships have the potential of driving buzz on social media, boosting website traffic, and keep things fresh. Let’s take a look! The Field Museum in Chicago recently released a new line of beer in partnership with Toppling Goliath, and it was the only place in Illinois to tap the highly sought after PseudoSue pale ale. In addition to a collaboration on beer, the institution is also set to release a gin in celebration of its 125th anniversary in July 2018. The gin will be created with 14 botanicals that were introduced at the 1893 World’s Fair, the event where the museum was founded! Read more about the beer collaboration and gin collaboration! In 2011, MOCA Los Angeles teamed up with Levi’s to create a denim jacket that featured work from notable graffiti and street artists, including Kenny Scharf, Keith Haring, and Shepard Fairey, just to name a few! Further, this line was designed to complement the museum’s “Art in the Streets” exhibition. In March 2104, MoMA and Uniqlo launched ‘SPRZ NY,’ a clothing line that was inspired by artwork from the museum’s collection. The line rolled out throughout the year and even had a dedicated floor in the brand’s flagship store on 5th Avenue. The collaboration evolved out of a partnership that started in 2013, when Uniqlo sponsored “free Fridays” at the museum to promote appreciation of modern art and design. The collaboration was even nominated for the Americans for the Arts pARTnership Award. Back in 2010, New York City museum Neue Galerie collaborated with Estée Lauder to create an exclusive “Berlin Red” lipstick and Bauhaus-style mirror compact to commemorate the museum’s retrospective of German artist Otto Dix. The lipstick color was inspired by Dix’s iconic portrait of dancer Anita Berber. In 2008, the Brooklyn Museum presented a retrospective of Japanese artist Takashi Murakami. The retrospective was deemed controversial because it included a fully operational Louis Vuitton store within the exhibit. The store was home to both “Monogram Multicolor products” and limited edition canvases of the monogramouflage design, a new print created in a collaboration between Takashi Murakami and Louis Vuitton’s Artistic Director Marc Jacobs. 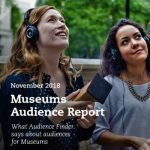 For more inspiration on museum and brands working in partnership including The Natural Museum of Natural History + Easy; Lincoln Park Zoo + Dryhop Brewers; American Museum of Natural History + F.A.O Schwarz and more at Cuseum.